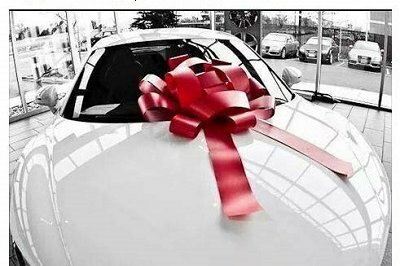 A new car just for liking a post? It seems too good to be true. 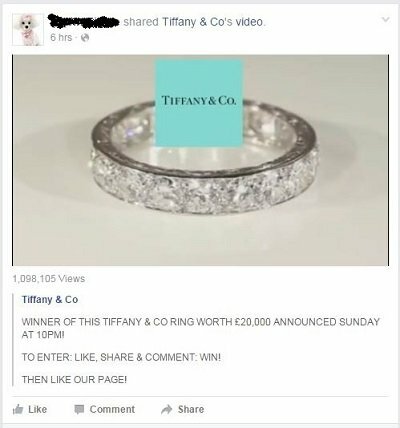 You may have seen posts on your news feed recently from companies that promised to enter you into a contest for a free car or diamond ring, just for liking a Facebook page. It seems too good to be true, but hey, no harm in trying, right? Unfortunately, even the simple act of "liking" a post could snare you in the net of scammers. Antivirus company Avast warned people on its blog recently to beware of "like farming." That's when a scammer promises Facebook users that they'll be entered to win something amazing if they like, share and comment on a post or a page. These scams can get millions of likes in a heartbeat. When a page gets tons of likes in a short time, Facebook's algorithms take note and place it up higher on other people's news feeds, making it go viral even faster. The purpose of the scheme is to give the scammers a large audience for future tricks. For example, they can then repurpose the page to inundate users with ads or to send them online survey scams, where they promise to pay users for taking a survey but instead just steal and sell their personal information. • Check to see if the page has a blue checkmark next to the title, which shows that it is a verified page. • If something is too good to be true, it probably is. • Check for bad spelling and grammar or an over-reliance on caps lock. For example, in the picture below, don't you think that someone working for Tiffany and Co. would know that there's supposed to be a period at the end of "Tiffany and Co."? If you think something is a scam, click on the arrow on the top right corner of the post and choose "Report post" in order to inform Facebook. And if you see a friend reposting a scam page, warn them about it ... in fact, you should probably share this post on Facebook right now, just to be safe.